If you've been reading my blog for the past few years then you will know I am not a huge fan of spending fortunes on beauty products, the occasional splurge here and there is fine but I struggle to justify spending £30 on a lipstick... That being said, I love brands that are inspired by the pricey, luxury products and create more affordable versions. Makeup Revolution have officially nailed this concept - their entire range is purse friendly and best of all, the actual quality and results of their products are incredible. I popped into Superdrug earlier this week and picked up the MakeUp Revolution Amazing Curl Mascara for £2 and the Vivid Blush Lacquer in Rush for £3. Just to give you a heads up, my lashes lack volume and length so I usually use a comb mascara to prep my lashes and then I use a brush mascara to add thickness. 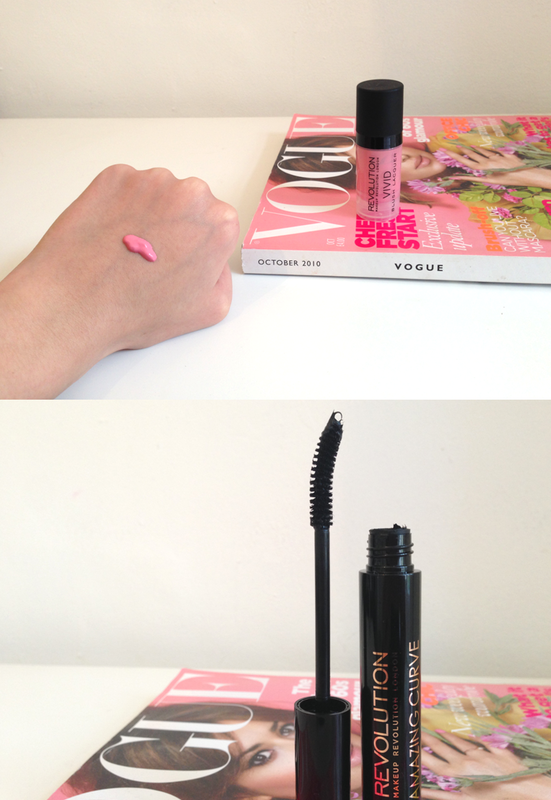 Let's start with the packaging - sleek and simple, I love the rose gold text on the mascara, I think it is really pretty! I am really surprised with how well this mascara performed! 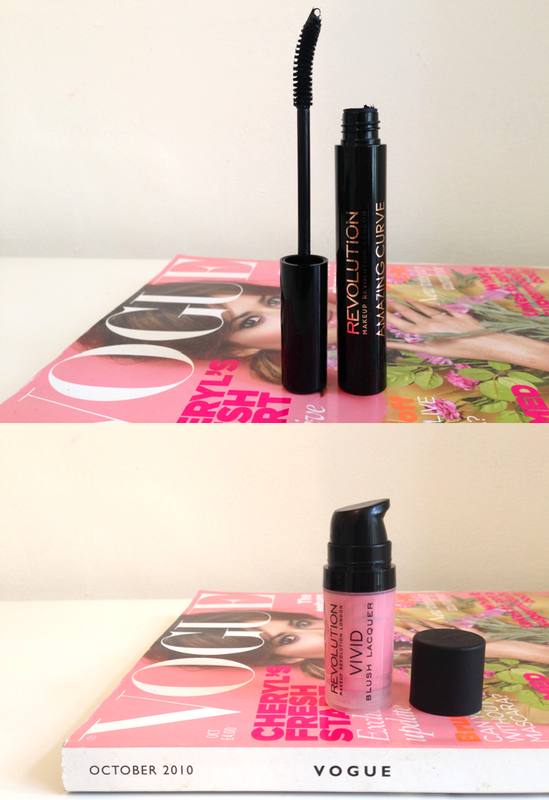 I didn't even need to reach for my comb style mascara to prep my lashes - two coats of the Makeup Revolution mascara and we were ready for lift off. I want to try Makeup Revolution so badly, ugh! Their stuff always looks so good!